With just two weeks until election day, a mayoral race breaking down on lines of class and geography has no clear leader, according to a new WBUR survey (PDFs - topline, crosstabs). The poll, conducted by MassINC Polling Group, shows City Councilor At-Large John Connolly edging state Rep. Marty Walsh 41-39 in Boston's first open-seat mayoral race in a generation. Steve Koczela, president of the MassINC Polling Group, said the survey suggests momentum for Walsh, who has trailed by ever-smaller margins in a series of polls in recent weeks. But the race, he emphasized, is wide open. "It's essentially a toss-up," Koczela said. The poll suggests the candidates are appealing to distinct demographics. Walsh performs best with an older Boston — blue-collar voters, many of them decades-long residents of the city. Connolly has cobbled together a coalition of low-income, mostly black voters, young adults and upscale residents — many of them new to the city. The results track the tenor of the campaign in recent weeks. Walsh, a longtime labor leader who grew up in a triple-decker in Dorchester, has billed himself as a working-class champion — even as he's faced tough questions about his union ties. Connolly, the scion of a well-known political family, has brushed off suggestions of a privileged upbringing — he was raised in Roslindale, he quips, not Beverly Hills — and spoken of education, his signature issue, as a pathway out of poverty. The candidates' distinctive approaches are reflected in the geography of the race. In the 12-way preliminary mayoral election last month, Connolly's strength was on the more affluent western edge of the city — starting with his home base in West Roxbury, extending up through Jamaica Plain and into the Back Bay and South End. Walsh, who represents a large swath of Dorchester in the state Legislature, built substantial margins in the more blue-collar precincts of his district and nearby South Boston. The WBUR poll, which carved the city into four regions, suggests both candidates are holding onto their bases. But neither candidate, it seems, has built a distinct advantage in the mostly black and Latino precincts at the center of the city that went for minority candidates in the preliminary election. 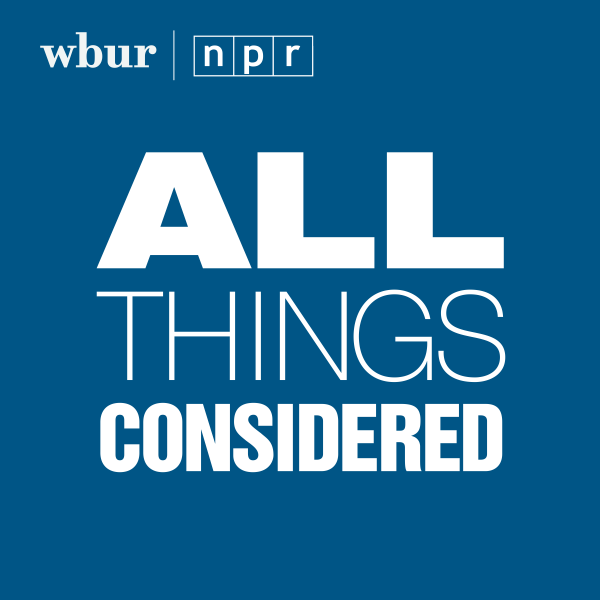 Connolly has a 42-34 edge among black voters, according to the WBUR survey. But add in other non-white voters and the candidates are virtually tied. The deadlock suggests Walsh has not yet gleaned a significant advantage, in minority communities, from the endorsement of the top three black and Latino vote-getters in the preliminary election — former state Rep. Charlotte Golar Richie, City Councilor At-Large Felix Arroyo and former nonprofit executive John Barros. Still, the endorsements may be having some impact on the broader electorate. One in four voters say an endorsement by a former mayoral hopeful who is black or Latino would make them more likely to vote for a candidate. And those voters favor Walsh by a 45-35 margin. Among them: poll respondent Jim Gorman, 71, a consultant who works on planning and leadership development for church groups. The Beacon Hill resident, who is white, says he voted for Golar Richie in the preliminary election — intrigued by the idea of an experienced black woman in the mayor's office. When Golar Richie didn't make it through to the final election, Gorman says, he found himself leaning toward Walsh — more interested in the candidate from blue-collar Dorchester, he said, than from well-to-do West Roxbury. "Then out came the endorsements from the minority [candidates] and that led me to be pretty firm for Martin Walsh," Gorman said. The endorsements were not pivotal, he said, but they helped to "seal the deal." Another poll respondent — George Philippides, 54, a doctor who lives in West Roxbury — voted for Connolly in the preliminary election and plans to do the same in the final election Nov. 5. Philippides said he is mainly drawn to Connolly's call for an overhaul of the Boston Public Schools. "I think the whole system needs to be reconfigured and he's one of the few politicians who has the strategic foresight and the courage, in my opinion, to actually take a look at this and really try to tackle it," he said. But Philippides, a New York transplant who's been in West Roxbury since 1996, said Connolly also seems more in step with an evolving city than his opponent. Walsh "is much more in line with the usual groups of unions and established politicians," he said. "And I think there is a concern among many of us more progressive voters that it's going to basically translate into business as usual." Connolly has a sizable edge with newcomers to the city, leading Walsh by a margin of 58-23 among voters in the city fewer than 10 years. Walsh, by contrast, leads Connolly 44-35 among those in Boston more than 50 years. Connolly also leads among voters who did not cast ballots in the preliminary election, but intend to vote in the final election. It's "new resident versus long-time resident, the younger versus older, the person who voted in the [preliminary election] versus the person who didn't," said Koczela. Connolly's coalition of newer, younger, more casual voters presents him with some get-out-the-vote challenges, Koczela said; it's older, more established residents who can be counted on to cast ballots in municipal elections. But Koczela said Connolly's base also gives him "more room to grow": if the turnout swells on election day, he said, it will likely be less traditional voters driving the surge. Connolly also has an advantage with voters on their top concern — education. Nearly one in three voters ranked schools as their number one issue. And among those voters, Connolly leads 54 to 33 percent. Walsh has attempted to cut into Connolly's advantage on education — talking about his vote for a sweeping education reform bill on Beacon Hill and his work on the board of a charter school in Dorchester. But he's also tried to shift the conversation to other issues. And the WBUR survey points to the advantages of the strategy. Among voters most concerned about the economy, Walsh leads 41 to 33 percent. And among those most concerned about crime, his edge is 40 to 35 percent. Walsh also has a substantial lead in households with union members. But his ties to organized labor are hurting him with some voters. One in three say they think unions would have too much influence in a Walsh administration, compared to 10 percent who say the same about a Connolly administration. The union concerns are particularly pronounced among Connolly voters — including poll respondent Susan Egmont, 60, an executive search consultant who lives downtown. "I'm really concerned about the amount of money he's received from unions," she said, referring to hundreds of thousands of dollars in direct campaign contributions to Walsh and independent expenditures on his behalf. She said she's concerned that if Walsh negotiates overly generous contracts with public employees, it will drive up property taxes and make it harder for people to afford to live in the city. Still, Walsh's biography has translated into substantial support among blue collar voters. In the WBUR poll, Walsh leads among those making $25,000 to $75,000 54 to 31 percent. Among those earning $75,000 to $150,000, Connolly leads 46 to 35 percent. Connolly has a large contingent of mothers volunteering for his campaign. And previous polls have shown him with a substantial lead among women voters — creating a narrative around a gender gap in the race. But the WBUR poll calls that into question: Connolly's lead among women, in the survey, is only slight. The poll of 503 likely voters was conducted October 19-20. The margin of error is 4.4 percent.